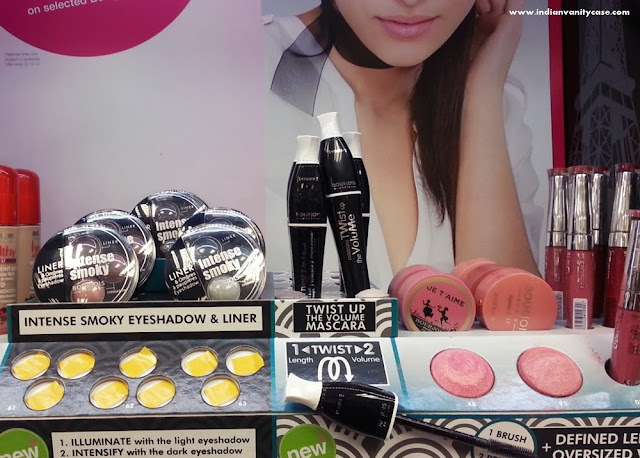 I have to tell you that the Superdrug store I go to all the time has had a makeover, and was looking so swanky with laminate flooring, parallel aisles that look super duper organized. Oh, and new baskets! Small, black with silver handles. It felt like Sephora (Kuala Lumpur). 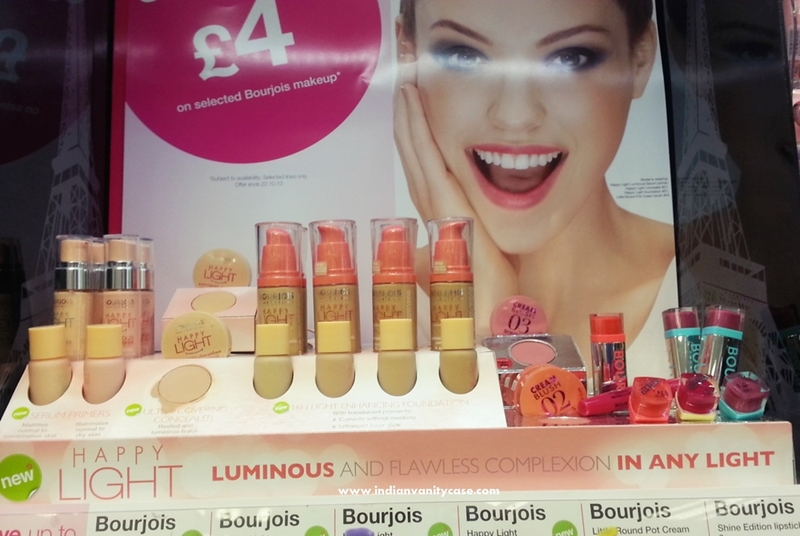 On top of all that, it had my most-awaited new Bourjois products - the Happy Light Primers! 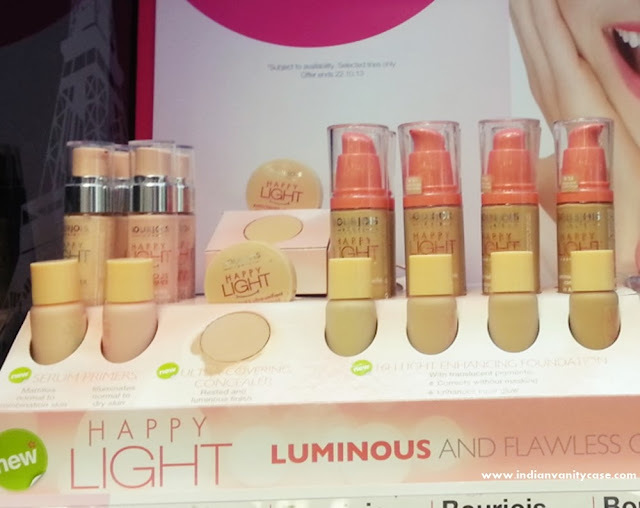 Bourjois Happy Light Primers in Matte & Luminous ~ LUMINOUS: Illuminates and hydrates, for normal to dry skin. MATTE: Mattifies and refines pores, for normal to combination skin. Wear alone or under foundation. 1 shade suits all. Introductory Price: £6.99 | Rs.696. Later will be priced £10.99 | Rs.1093. Bourjois Happy Light Foundations ~ Introductory Price: £7.99 | Rs.794. Later £11.99 | Rs.1192. 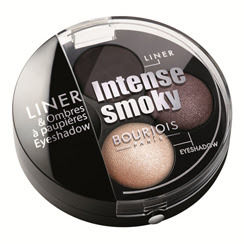 Bourjois Intense Smoky Eyeshadow & Liner ~ These are the same as the Smoky Eyes Trio Eyeshadows, except they come with 2 eyeshadows & one cream/gel liner. Introductory Price: £5.99 | Rs.595. Later £7.99 | Rs.794. Bourjois Twist Up The Volume Mascara ~ One brush creates two results- length & volume. You twist and the brush changes its shape. Sounds super cool, but I'd just bought Maybelline Rocket Mascara, so let's see. Introductory Price: £6.99 | Rs.696. Later £10.99 | Rs.1092. I had to take advantage of the introductory prices, and got all 3 Bourjois Happy Light products to try out. Primer in Matte. Will post pics. Oh god! Plz be me!! Is it already launched in India ? Any clue ?